In today’s stories, there’s an new Netflix competitor in town. Plus, stories on wi-fi, Amazon Prime, and more. In deals today, there are savings on Dremel tools and accessories (great for crafting) and pre-owned Fire Tablets. Fullscreen Unveils $5 Subscription Video Service, Taking on Netflix and YouTube Red (Variety) Hm. Very targeted, which is interesting. Wonder if there is enough interest in that market share to pull this off? New wireless tech from MIT could bring password-free Wi-Fi (Computer World) This could be a good thing…. Especially if you put it together with the ability to shut out router invaders based on distance. 10 Spring Cleaning Tips for Getting rid of Old Unread Books (Bustle) Some of these look like fun projects! You can now buy Amazon Prime for a month at a time — if you’re a Sprint customer (ReCode)And if you want to pay a third more for the service. Easier just to buy Amazon Prime. The complete list of ‘OK, Google’ commands (CNET) This is a pretty comprehensive list. I had no idea that it could do this much and intend to take a second look at the idea of using this. Amazon’s selection of Kindle Daily Deals includes The Power of Negative Thinking: An Unconventional Approach to Achieving Positive Results by Bob Knight and Bob Hammel for $1.99. In Today’s Deals, Amazon is offering savings of up to 63% on your choice of select Dremel rotary tools and accessories. You will also find some flash drives and memory cards at reduced pricing. Plus, you can still find deals on pre-owned Fire tablets. The Barnes and Noble Nook Daily Find is How to Instantly Connect with Anyone: 96 All-New Little Tricks for Big Success in Relationships by Leil Lowndes for $1.99.The Romance Daily Find is The Bad Boy CEO by Sugar Jamison for $1.99. STILL AVAILABLE: B & N is running a special where you can get a NOOK Bundle Offer: 10″ NOOK Device, Free Screen Film and Free Cover of Your Choice- a $330+ Value for Just $199.99. And finally, you can take 75% off all Nook Accessories. And if you have jumped on the coloring books bandwagon, B & N now has Harry Potter Magical Places & Characters Coloring Books available. Kobo’s Daily Deal is Sidney Chambers and The Shadow of Death (The Grantchester Mysteries) by James Runcie for $1.99. iTunes’ Weekly Bestsellers Under $4 includes The More You Ignore Me by Jo Brand for $1.99. Last February, Scribd announced changes to its subscription service that would begin in mid-March. Planned changes included limiting monthly reads to only three books and one audio book, along with offering a limited selection of unlimited access titles. Scribd began implementing the new system today. They started by unveiling the first installment of Scribd Selects on their blog. Selects are an assortment of books, audio books and comics chosen by Scribd editorial team, which can be read without additional cost or having to using one of the three allotted Monthly Read credits. This is the unlimited access portion of the subscription that Scribd previously told us about. These titles also come with a bit of extra reading time. If you don’t have time to finish a Scribd Select during a month, you have an additional two weeks to finish the title before requires the use of a Monthly Read credit for continued access. 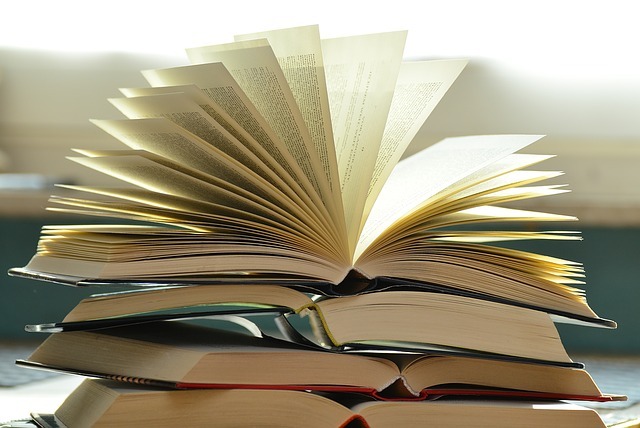 The March selection of titles draws books from various categories, including history, art, biography, children’s books, leadership,self-help, food, as well, as a variety of titles from genres like mystery, fantasy, science fiction and romance. You can find the Scribd Selects lists on the Editor’s Picks Pages. They can also be found throughout various category sections. Or, you can find them on the Scribd website where they are listed separately as a book list, an audiobook list, and a comics list. 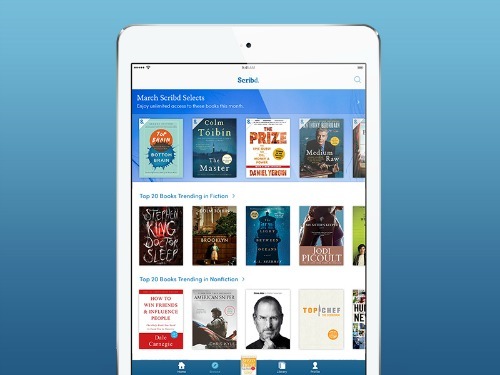 Scribd has updated its app to incorporate the new membership features. These app changes include adding Scribd Selects, filtering the library to hide previews and filtering full access titles in the user library. The buttons on the book page have also been reorganized. Users are required to agree to the new terms and conditions when installing the new app. The new TOS clearly distinguishes between direct purchases and membership. This made me wonder if Scribd is also attempting to position itself as an ebook retailer. There are also a few restrictions: One says “You may not exceed usage limitations set by content providers (participating publisher or user).” I am not exactly sure what that means. Does that mean we can be throttled for reading too much content? I wonder. The terms also state that you can only accumulate three monthly audio book credits or nine monthly book credits at one time. Since Scribd gave everyone several free credits in February when they announce the new content terms and since I seldom listen to audio books through Scribd (I had an Audible subscription), I now have six audio book credits built up. I need to check if those will expire. One important point clarified in the TOS: Once you have accessed a monthly book or audio book on the service you will be able to continue to read or listen to that title as long as your membership remains active in the material remains available on Scribd’s services. That means it is not exactly like a a library book that expires. The TOS also states if Scribd removes commercial content that you have purchased, it may provide to you, at its sole discretion, a limited window of time in which to download such removed commercial content. I intend to ask for a clarification of this one before I buy anything. Does this mean I am buying it or not? At the present time, you can purchase additional audio books from the service, but you cannot purchase additional monthly reads or comics. Is it just me, or do some of these new terms sound a little murky? Or murkier than than the typical legalese…. So, what do you think of the changes to Scribd? Does this sound like what you expected it was going to be like? Netflix can’t stream house of cards globally, blames licensing deals (Torrent Freak) These old laws are the reason we can’t have nice things everywhere – like books and movies. People who buy activity-trackers shouldn’t have to be beta testers (The Verge) This is a reoccurring problem for early adopters of new technology. Major publishers’ e-book sales stagnate as overall market grows (The Seattle Times) The market is just more than traditional publishers any more. Artist never judges a book by its cover (LA Times) It’s okay if print books are dying.See what this artist does with old discarded print books. Guess what we find in books? A look Inside our Midwest Regional Digitization Center– by Jeff Sharpe (The Internet Archive Blog) Readers leave their mark in the books they read. Amazon’s Kindle Daily Deals includes 80% off select biographies and memoirs, including An Astronaut’s Guide to Life on Earth: What Going to Space Taught Me About Ingenuity, Determination, and Being Prepared for Anything by Col. Chris Hadfield for $3.99. The Barnes and Noble Nook Daily Find is A Good Man Is Hard to Find and Other Stories by Flannery O’Connor for $2.99. The Romance Daily Find is Demons Are a Girl’s Best Friend by Linda Wisdom for $1.99. Kobo’s Daily Deal is Private: #1 Suspect by James Patterson, Maxine Paetro for $1.99. iTunes’ Weekly Bestsellers Under $4 includes Something Missing by Matthew Dicks for $1.99. Google is offeing a selection of limited time deals,starting at 99 cents and up. Barnes and Noble is currently rolling out their January promotions for books and textbooks. There are various coupons codes and deals that will be valid online throughout the month. Note that the coupon code changes from week to week. There is also an ongoing promotion for up to 90% off textbooks plus free shipping. You can save 25% on accessories for the Nook through January 23, 2016. Included are accessories for the NOOK GlowLight Plus, the Samsung Galaxy Tab S2 NOOK, Samsung Galaxy Tab E NOOK, and the Samsung Galaxy Tab 4 NOOK 7.0. Looking for fiction and books on religion, history, biography and self help? Barnes and Noble is also featuring discounts of up to 40%off top books in these genres through January 26, 2016. Starting on Monday, January 18, 2016, you can take $10 off your purchase of $100 or more (including new textbooks) with code BNBOOKWORM. This promotion ends on January 21, 2016. And finally, starting on January 25, 2016 you can take $10 off your purchase of $100 or more (including new textbooks) with code BNSCHOLAR. The promotion comes to an end on January 27, 2016. Barnes and Noble also has a membership program with perks like free shipping, discount and exclusive offers. You can learn more here. 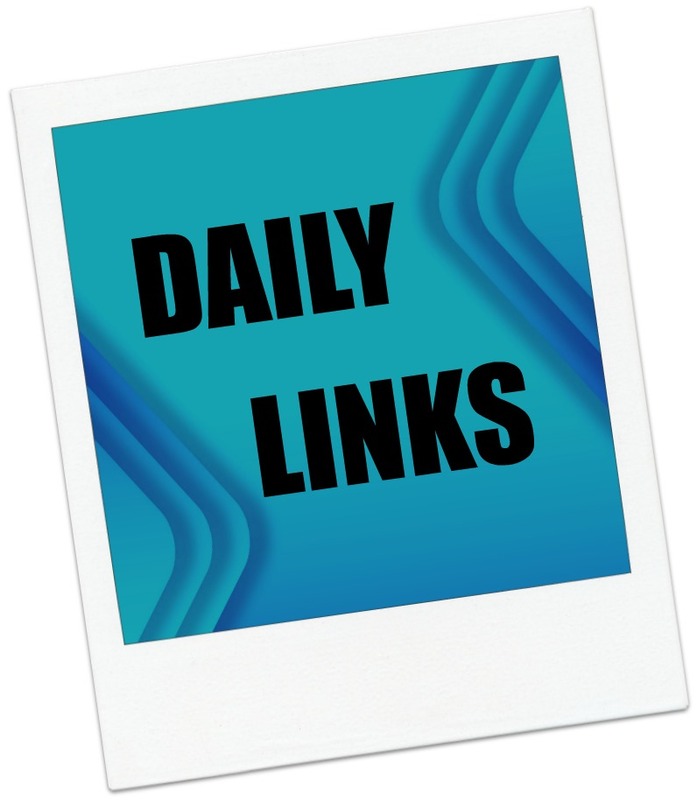 Daily Links: Are there Critters and Germs in My Library Books? A new word for the e-publishing lexicon: Bookenfreude (Teleread) – Maybe this should be e-bookenfreude? AT&T, Verizon try to prevent ban on text message blocking (Ars Technica) – Are they blocking spam or a legitimate use? My Kindle Find of the Day is Plant Power: Transform Your Kitchen, Plate, and Life with More Than 150 Fresh and Flavorful Vegan Recipes by Nava Atlas of VegKitchen.com. Last time I checked, the Kindle version was $14.99; today it is only $1.99!